The 5 star hotel-spa was designed as a lodge in a world beyond time, reminiscent of a lost paradise on the outer edges of a legendary Africa. A spa, five restaurants, 73 rooms and 29 suites that tell a story of a wonderful journey. A warm, relaxed atmosphere, with a magical view over the waters of the lake Léman beyond the park. The Nescens Spa is a comprehensive spa offering a unique range of services in an elegant, lush green setting that have been developed and approved by the Nescens brand scientific committee. Services are provided by a multi-disciplinary team of therapists, coaches and medical specialists with expertise in the realms of preventive and antiaging medicine, as well as aesthetic medicine. Group classes for stretching, yoga, Pilates, postural exercises, personal training sessions, etc. The 29 suites and 73 rooms of La Réserve Genève interpret the refined style of African lodges. All are generously sized and feature wide picture windows, and some lead onto a patio giving direct access to the grounds and the swimming pool. Features include a choice of pillows, cotton sateen bed linen and black granite-tiled bathrooms. Savour a variety of tastes from 5 restaurants in magnificent surroundings at La Réserve Genève. During warmer months, be sure to try one of the fabulous heated terraces. 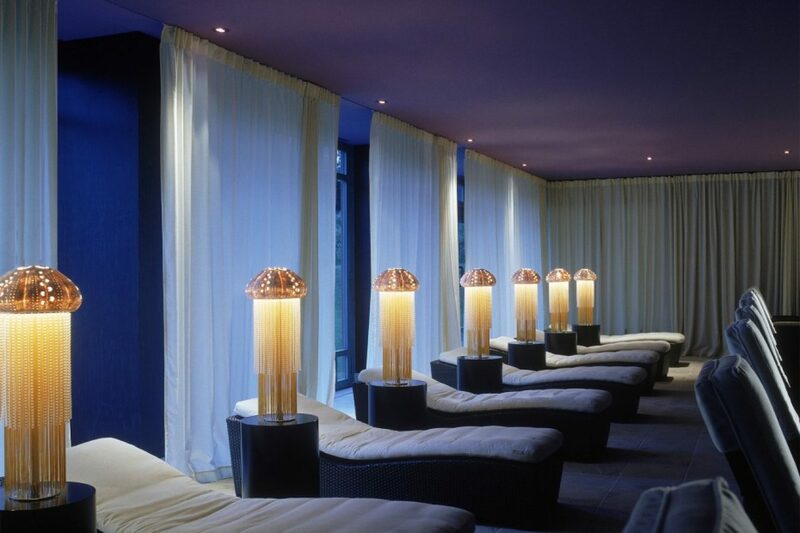 The Spa Restaurant is a delightful, intimate space with a plush, light-infused atmosphere. The teak terrace invites you to enjoy a relaxing interlude with the arrival of the warm, sunny weather. Chef Eric Canino, former chef with Michel Guérard, and now at La Réserve Ramatuelle, shares his delicious concept of healthy cooking, in harmony with all the benefits of the Spa. It reflects his love for light, intensely flavored dishes. La Petite Réserve is a no-go zone for parents and hosts kids from 6 months to 13 years old, thanks to a competent team whose only aim is to give them unforgettable playtime. Fly to Geneva then a short drive from the airport. Perched in an idyllic location on the banks of Lake Geneva, surrounded by 10 acres of park and woodland, La Réserve feels a million miles away from the nearby city. The resort-style hotel evokes, as its name suggests, an African game lodge. Leopard print carpets, rare butterfly displays, elephant sculptures and fake exotic birds dress the opulent entrance and cosy bars, while landscaped gardens, chic restaurants and a swimming pool (which doubles as an ice rink in winter) create the buzzing hub of the resort. 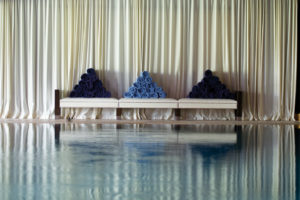 Set away from the hub the Nescens Spa spans 20,000 square feet. Elegantly styled in crisp whites, dotted with splashes of colour and hypnotic (jellyfish!) 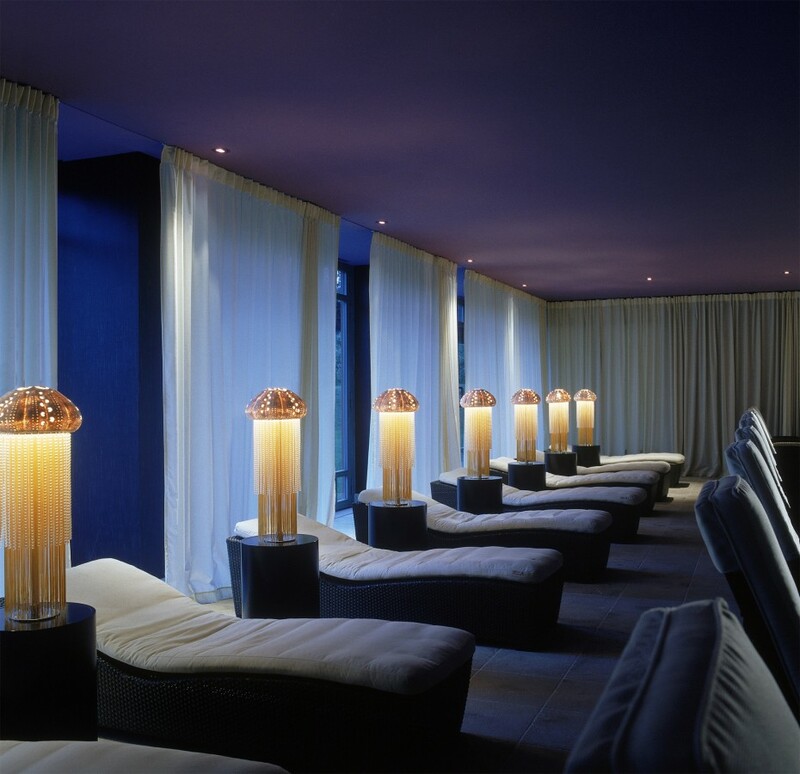 lamps the spa is deliciously fragranced with aromatherapy candles creating a complete haven of tranquillity. The Nescens Spa is a comprehensive spa offering a unique range of services developed and approved by the Nescens brand scientific committee. Services are provided by a multi-disciplinary team of therapists, coaches and medical specialists with expertise in the realms of preventive and anti-ageing medicine, as well as aesthetic medicine. Building on its medical and scientific expertise, Nescens, created by Professor Jacques Proust, is a pioneer in the realm of biology of cellular aging and anti-ageing medicine. Facilities include an indoor pool, his and hers steam and sauna, a manicure and pedicure station and the wonderful healthy eaterie Café Lauren. There’s also state of the art gym, complete with personal trainers, offering a full range of cardio and weight machines as well a Kinesis room. Classes on offer include yoga, pilates and Zumba. The Better Ageing Massage is designed by osteopaths and therapists to release tension, stress and strengthen muscles. My therapist first used manual lymphatic drainage techniques to release blockages and encourage blood flow. Cupping (an ancient alternative medicine using cups to create suction) was then used to prevent inflammation and increase blood flow. A sweeping Balinese style massage followed to bring my energy levels to a natural balance. I was left feeling lighter, energised and totally de-stressed. The Better Ageing Facial uses exclusive manual and mechanical lifting techniques to help stimulate circulation and promote facial drainage. My therapist began with a double, deep cleanse followed by a refreshing toner then a gentle foaming exfoliation. The Nescens Anti-Ageing mask was then applied and whilst it was working in to my skin I was given a relaxing hand exfoliation and pressure point massage. The mask was removed and followed with a lifting face and decollitage massage – which really felt like it was doing the trick. The facial finished with an application of a light serum and an eye contour cream. My skin looked noticeably lifted and plumped, under-eyes were brighter and my cheeks had a youthful healthy glow. Osteopathy – Osteopath Evan has been working with Nescens since they launched and, as his father before him, is a leader in his field in Geneva. He took one look and my spine, legs and shoulders and could tell immediately which parts needed fixing. An hour of kneading, cracking and massaging with his magic hands and I was re-aligned, de-knotted and re-balanced. My troublesome back and knee felt totally alleviated of pain and tension. Evan advised me to see an osteopath on a regular basis to prevent further problems and also gave me some great advice on physiotherapy for my previously fractured foot. 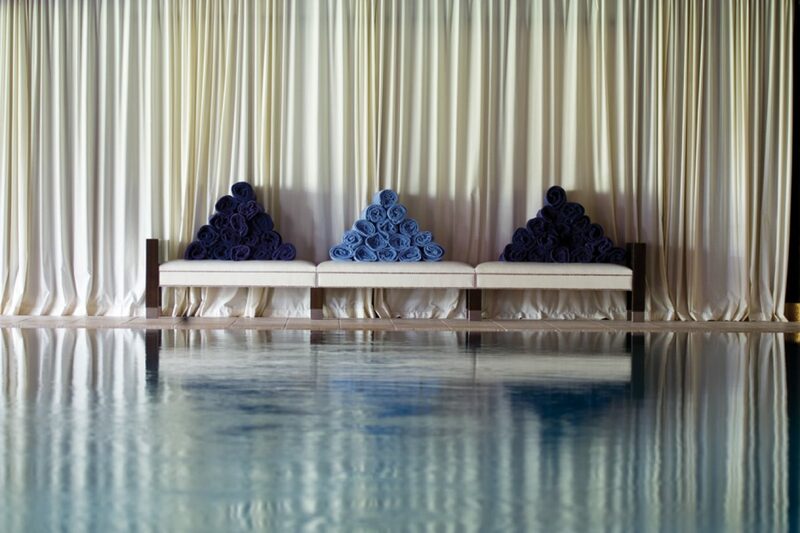 Balneotherapy – A private massaging jet bath infused with detoxifying and relaxing oils to relax muscles and boost metabolism. Algae Body Wrap – Using the benefits of marine algae to detoxify, a warm seaweed mask is applied followed by a relaxing head and scalp massage. Cosmetic and beauty services – Hairdressing, make-up and, manicure, permanent hair removal. Medical cosmetic procedures – Coolsculpting and laser therapies. The Nescens Better Ageing Plan – Designed by Nescens founder Professor Jacques Proust (a pioneer in cellular ageing and anti-ageing medicine) the Better Ageing Plan works on awareness and prevention of premature ageing. In contrast to most anti-ageing programmes, Nescens doesn’t include any anti-ageing aesthetics treatments, instead taking a more holistic approach and concentrating on diet, exercise, stress levels and osteopathy. The programme commences with a number of health questionnaires and thorough check ups, including sessions with various doctors, nutritionalists and osteopaths. The Nescens team then design a bespoke programme based on individuals results. My personalised programme was geared heavily towards diet and osteo-health – due to a previous prolapsed disc and further findings, including a dodgy knee caused by flat feet, and slightly high blood pressure due to too much salt (and probably wine…) in my diet. 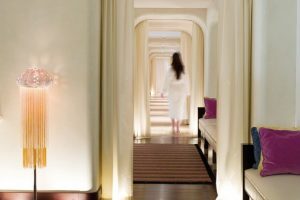 Over the four day programme I literally felt like I’d been wrapped in a cocoon of wellness. The great thing about this programme is not only the incredible treatments (performed, by the way, by some of the best therapists in Switzerland) but the fact it really does give you an insight into your daily life – how to treat your body and manage stress levels. The exercise regime and personal training (1 hour a day) included in the plan is designed by the fitness team and geared specifically towards individual needs. There’s a full range of options from tennis lessons and swimming to cardio workouts, kinesis and yoga. Due to my osteo problems I stuck to swimming, pilates and light cardio. My trainer worked with the osteo team to design specific exercises to strengthen my core and back muscles and designed an exercise plan for me to continue at home. On completing the programme I’d dropped a few pounds, felt totally re-engergised. My skin clear and muscles toned I headed home a wealth of knowledge and a big dose of confidence. Designed in rich earthy tones and dark woods, and styled with sumptuous silks and animal prints, Lake Suites offer uber-luxe accommodation. Marble bathrooms are kitted out with monsoon showers, balneotherapy baths and the full range of La Réserve’s own brand products. The above and beyond pillow menus range from the sleep enhancing effects of St Johns Wort to Prestige Orthobone as an anti-snoring option. As the room category states, views of the lake are standard, with some rooms also sporting views, on a clear day, of Mont Blanc. Diet is a key part of the Nescens plan and daily trips to Cafe Lauren was one of my favourite experiences. The carb free, sugar free and low salt diet that wonderful chef Natalie would rustle up every day was some of the best clean cuisine I’ve ever tasted. Dishes included curried vegetables with quinoa, seabass with spiced vegetables and teriyaki salmon. 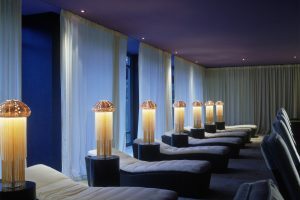 There’s also a fabulous array of fine dining restaurants and high-end eateries around the resort, including the Michelin starred Tsé Fung – serving the best Chinese food in Geneva. 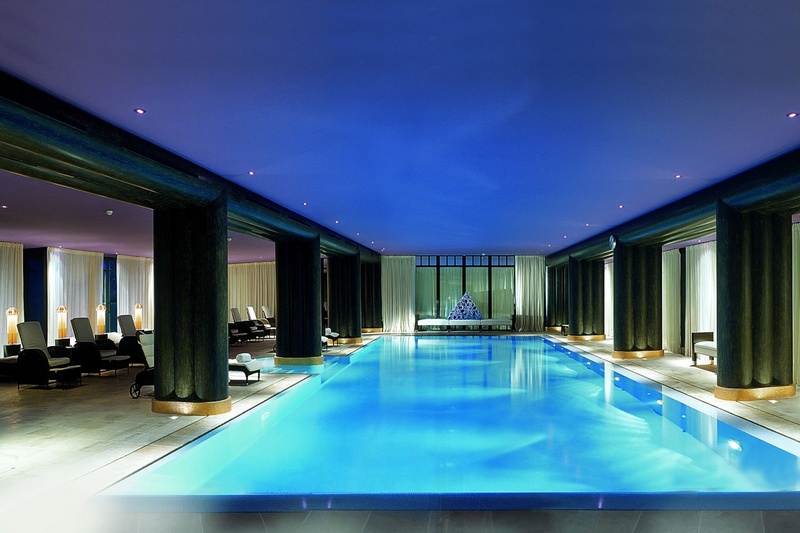 A shopping trip to Geneva’s town centre – the hotel offers free transfers via boat from their private dock on the lake. Toby Maguire has been featured in the Sunday Times, Forbes Magazine and the Huffington Post for his work on managing stress and contributions to the health and wellness industry. Originally from the UK, his commitment to helping and healing others prompted a move to South East Asia in 1998 to study meditation, Chinese medicine, Hypnotherapy and Asian philosophy. For the last 10 years he has been working at Health and Wellness resorts worldwide whilst also running his stress management company in the UK. His regular clients include Olympic and Paralympic Gold Medal Athletes, Premier League football players, Royalty, Hollywood actors and high performing executives. With gentleness, compassion and humour, he uses his knowledge to provide immune boosting wellness treatments, heal physical pain and spiritual life coaching to bring about greater self awareness and peace of mind. Rate from 730 Chf – per room based on a double occupancy. Offer valid from Friday 25th January to Sunday 3rd February 2019, reservation only and subject to availability. From 730 CHF – per room based on a double occupancy. La Réserve Genève is offering two Yoga Retreat weekends with Jeff Grant, internationally renowned yoga teacher, sports and mental coach. Jeff Grant’s key aim is to help you to unleash your full potential, to achieve your objectives through your mental and physical strength and to overcome moments of stress, overwork or inactivity. Jeff Grant has devoted himself to the world of yoga and endurance sport since the 1990s. Since then, he has explored a number of different types of yoga, been involved in various extreme endurance challenges and studied music – all experiences that will assist in guiding you towards greater peace and the fulfilment of your well-being. Retreat open to all. Booking essential and subject to availability. CHF 4’800 for a Superior room for single occupancy or CHF 8’000 CHF for double occupancy. By reservation only at least 7 days in advance.